Visa requirements for Bangladeshi citizens are administrative entry restrictions imposed on citizens of Bangladesh by the authorities of other countries. As of 26 March 2019,[update] Bangladeshi citizens who hold regular or ordinary Bangladeshi passports have visa free or visa on arrival access to 41 countries and territories, ranking the Bangladeshi passport 97th in terms of travel freedom (tied with passports from Iran and South Sudan) according to the Henley Passport Index. Bangladeshi citizens who hold Diplomatic passports and/or Official passports of Bangladesh have visa free or visa on arrival access to many more countries. US $100 visa waiver fee applies. May apply online using the Online Visitor e600 visa facility. Visa can be issued on arrival for those who need to enter China urgently for humanitarian reasons or have other urgent needs. Relevant supporting documents must be provided. This policy applies to all foreigners including citizens of Bangladesh. Visa must be obtained in advance in lieu of a tourist card. eVisa available for holders of a valid Schengen visa or a valid visa from any of the OECD member countries or a valid residence permit of a Schengen or OECD country or a valid residence permit of UAE. No visa required for Diplomatic and Official Passport holders. Visa fee waived for regular or ordinary passport holders. 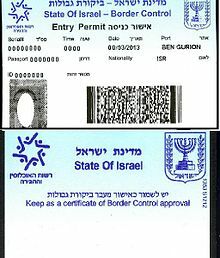 Confirmation from Israeli government required before visa is issued. No visa required for Diplomatic Passport holders. Bangladeshi national who holds a visa, re-entry permit or permanent residency to enter the United States, Canada, Japan, Australia or New Zealand can enter South Korea without a visa for a stay of up to 30 days, if their purpose of visit is transit. Unless travelling on an official visit and holding an official letter of guarantee issued by the Ministry of Foreign Affairs of Laos. Approval from the Ministry of Interior required. Visa is not required if holding U.S or Canadian permanent resident card. Holder of a valid UAE residence permit may enter without visa for seven days. Bangladeshi holding a GCC visa of certain categories (managers, sales executives, etc.) are granted a visit visa on arrival if they are coming directly from a GCC Country. No visa required for Diplomatic and Official Passport holders for a stay of upto 30 days. No visa required for Official and Diplomatic passport holders. Visa not required if holding a valid Schengen Visa. Entry and transit is refused unless arriving for commercial delegations or as students studying at a Sudanese institute of higher education or university and holding a residence permit. Visa on arrival if holding a referral visa. Visa on arrival for up to 15 days for valid residence permit holders of any country in the GCC (Bahrain, Kuwait, Oman, Qatar, Saudi Arabia and the UAE). eVisa available for holders of a valid Schengen visa; a valid visa from any OECD member country (USA, Canada, etc. ); or a valid residence permit of a Schengen or OECD country. May apply for visa online. Traveling directly to Phu Quoc Island are allowed to stay on the island for up-to 30 days without a visa. A fingerprint scanner at Dulles International Airport collects biometric data on visitors, which can be used for confirming identities. Fingerprinting countries include Afghanistan, Argentina, Brunei, Cambodia, China, Ethiopia, Ghana, India, Japan, Malaysia upon entry and departure, Paraguay, Saudi Arabia, Singapore, South Korea, Taiwan, Uganda and the United States. Many countries also require a photo be taken of people entering the country. The United States, which does not fully implement exit control formalities at its land frontiers (although long mandated by its legislature),   intends to implement facial recognition for passengers departing from international airports to identify people who overstay their visa. ^ "Deal with 27 more countries under process". The Independent. 16 May 2017. Archived from the original on 23 January 2019. ^ a b c d e f g h i j k l m n o p q r s t u v w x y z aa ab ac ad ae af ag ah ai aj ak al am an ao ap aq ar as at au av aw ax ay az ba bb bc bd be bf bg bh bi bj bk bl bm bn bo bp bq br bs bt bu bv bw bx by bz ca cb cc cd ce cf cg ch ci cj ck cl cm cn co cp cq cr cs ct cu cv cw cx cy cz da db dc dd de df dg dh di dj dk dl dm dn do dp dq dr ds dt du dv dw dx dy dz ea eb ec ed ee ef eg eh ei ej ek el em en eo ep eq er es et eu ev ew ex ey ez fa fb fc fd fe ff fg fh fi fj fk fl fm fn fo fp fq fr fs ft fu fv fw fx fy fz ga gb gc Travel Information Manual, International Air Transport Association (IATA). ^ "MINISTERE DE LA SECURITE PUBLIQUE, DIRECTION GENERALE DE LA POLICE NATIONALE, COMISSARIAT GENERAL DE LA POLICE DE L'AIR, DES FRONTIERES ET DES ETRANGERS NOTE CIRCULAIRE DU 17/02/2015". Archived from the original on 22 July 2014. Retrieved 26 February 2015. ^ Correspondent, Senior; bdnews24.com. "China informs govt about offer of visa on arrival for Bangladeshis". bdnews24.com. ^ "Indian Visa Application Centre (IVAC), Bangladesh". www.ivacbd.com. ^ "Visa Exemptions for Diplomatic and Official Passport Holders". Ministry of Foreign Affairs of Japan. ^ "eCitizen - Gateway to All Government Services". immigration.ecitizen.go.ke. ^ "▒ Toronto 대사관 ▒". ▒ Toronto 대사관 ▒. Retrieved 8 November 2017. ^ "Immigration Guide - Foreigners". www.hikorea.go.kr. Retrieved 8 November 2017. ^ "Malawi introduces visas for European, Asian visitors". 29 September 2015 – via af.reuters.com. ^ "Mexico visa for Bangladesh passport holder living in United States of America". VisaHQ.com. Retrieved 18 January 2018. ^ "Myanmar eVisa". Archived from the original on 13 August 2014. Retrieved 14 October 2015. ^ "The Philippine Embassy in Dhaka, Bangladesh". dhakape.dfa.gov.ph. Department of Foreign Affairs, Government of the Philippines. ^ "Visa Application". www.mfa.gov.sg. Ministry of Foreign Affairs, Republic of Singapore. ^ "Immigration & Checkpoints Authority - SAVE". eservices.ica.gov.sg. ^ "Uganda Electronic Visa/Permit Application System". ^ "Official electronic visa portal of the Republic of Uzbekistan". ^ "Visa Requirements | Vietnam Tourism". vietnamtourism.vn. Retrieved 18 January 2018. ^ html, www.sitecreation.com.au - web design, sydney, design, freelance. "Discover Phu Quoc - island paradise in the Gulf of Thailand, secluded and beautiful beaches, resorts and hotels on Phu Quoc island, Vietnam..." discoverphuquoc.com. Retrieved 18 January 2018. ^ AfricaNews (14 January 2019). "Gemalto awarded Uganda's new e-Immigration solution with fast-track border crossing eKiosks at Entebbe Airport". Africanews. Retrieved 24 April 2019. ^ Brown, Theresa Cardinal (9 May 2016). "Biometric Entry-Exit Update: CBP Developing Land Border Process". Bipartisan Policy Center. Retrieved 25 April 2019. While a requirement for a biometric entry-exit system has been in law for over a decade, it is not yet a reality. Many reasons for the long gestating development have been documented in BPC’s 2014 report Entry-Exit System: Progress, Challenges, and Outlook, including the technological, operational, and cost challenges of creating exit systems and infrastructure where none exist today. However, many critics, especially in Congress, simply accused the Department of Homeland security of dragging its feet... the major operational, logistical, and technical challenge in implementing exit capability at our ports has been the land borders. Unlike airports and seaports, the land border environment is not physically controlled, there is no means to get advance information on who is arriving, and the sheer volume of travel—both vehicular and pedestrian—creates challenges in any system to not further exacerbate delays. While biometric exit for land vehicular traffic is still in the “what if” stage, CBP is moving ahead and piloting systems and technology to use with the large population of pedestrian crossers at the U.S.-Mexico border. ^ Lipton, Eric (21 May 2013). "U.S. Quietly Monitors Foreigners' Departures at the Canadian Border". The New York Times. Retrieved 25 April 2019. Long demanded by lawmakers in Congress, it is considered a critical step to developing a coherent program to curb illegal immigration, as historically about 30 percent to 40 percent of illegal immigrants in the United States arrived on tourist visas or other legal means and then never left, according to estimates by Homeland Security officials. ^ LIPTON, Eric (15 December 2006). "Administration to Drop Effort to Track if Visitors Leave". The New York Times. Retrieved 25 April 2019. Efforts to determine whether visitors actually leave have faltered. Departure monitoring would help officials hunt for foreigners who have not left, if necessary. Domestic security officials say, however, it would be too expensive to conduct fingerprint or facial recognition scans for land departures. ^ Campoy, Ana; Campoy, Ana. "The US wants to scan the faces of all air passengers leaving the country". Quartz. Retrieved 24 April 2019.